After hanging up the phone with Shannon and Jason, more commonly known as the Shibaguyz, I started to realize how lucky I had been to catch a glimpse of their day to day lives. Shannon, the designer and knitter of the two, has quite the repertoire of designs, ranging from almost every knitting magazine to companies like Tahki and Berroco. And Jason, the experienced photographer and finisher of the team, seems to be able to accomplish almost anything. But in their newest endeavor: a pattern booklet, that unexpectedly pairs design and fit, something almost unheard of in this knitwear society. Where sizes often seem added mechanically to expand the size range, patterns seem to neglect to show off the larger sizes. This team has done it again. Moonstruck, an appropriate name for a uniquely designed and romantic collection. Besides the vast sizing and sized examples, (Most pieces are shown in two different sizes and go up to 5X. Can you believe they knitted the same thing twice!?!) the Shibaguyz paired their endeavor with a company they truly believe in- a yarn company, that not only has yarn they love, but a company that gives back to those in need. Mango Moon, works with a Nepali Women’s Empowerment Group and a spinners’ co-op in Indonesia that create yarns that are colorful and fun, and that help improve the lives of the artisans who spin it. 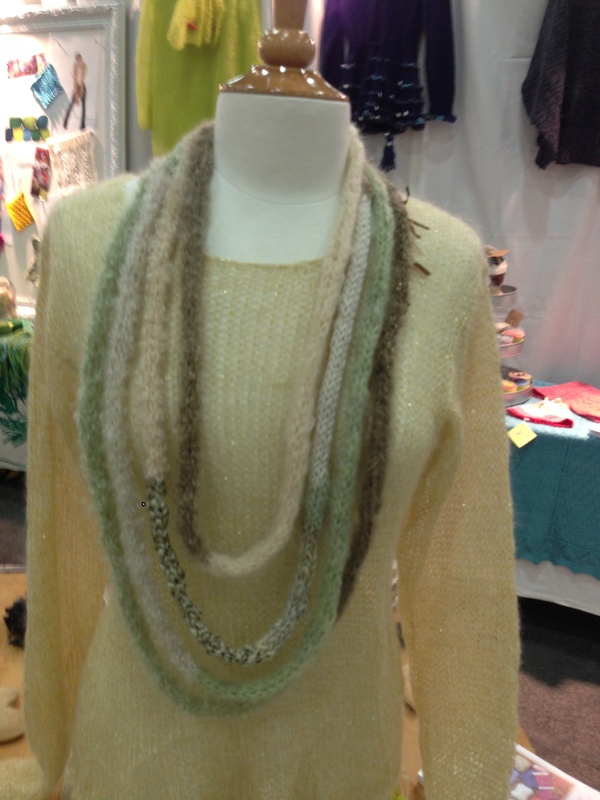 They range from colorful and beaded novelties to lustrous merinos hand dyed using native plant dyes. 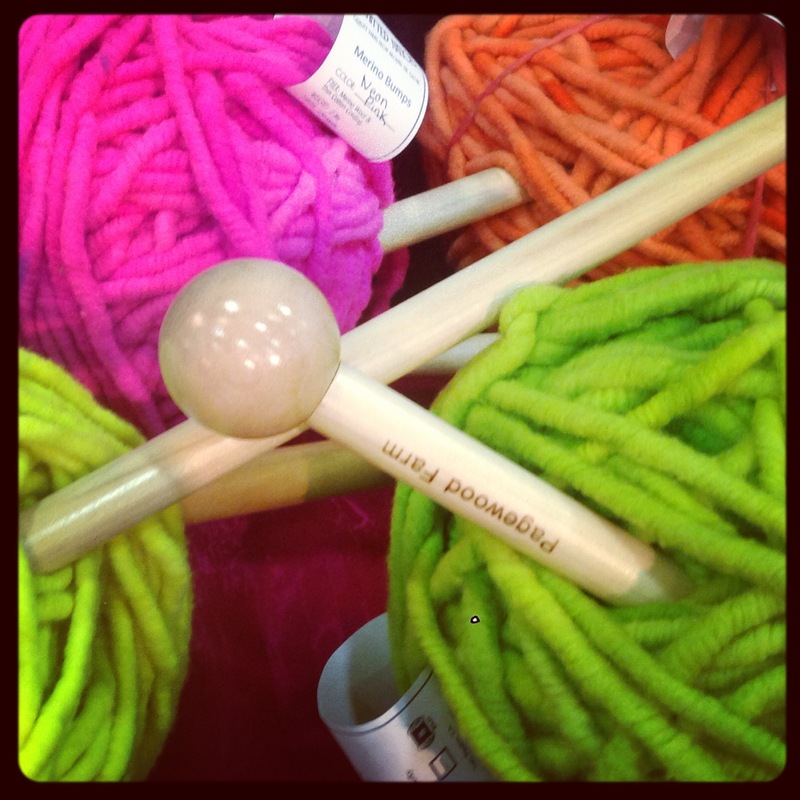 Put these two companies together and, of course, something exciting has hit the knitting world. Below are my top three favorite designs. While Deva, is my all time fave, (I can not wait to knit this) there are so many wearable and stylin’ tops to add to your wardrobe. Can’t resist a copy of Moonstruck, not to worry, the Shibaguyz let you download the pattern collection instantly for $14.95. Want the hardcopy? You can order that too ($19.95). Click here for more details. Fine, it’s still Summer. But 100 degree weather makes me craveeeeee boots, coats, sweaters, and knitting. And while you might be vehemently opposed to beach knitting, it may be the only time to prepare your knitwear wardrobe in time for that cold air to arrive. The knitted coat has been in style for years. But right now anything COAT is on the radar for Fall. Every designer from Derek Lam and Bottega Veneta to H+M and Forever 21 has morphed into Fall Ready To Wear with the long over-sized coat phenomenon. Just can’t get enough of this knee length, 3/4 sleeve, zippered, and buttoned craze. But, with a little over 2 months until Autumn hits our doorstep, you have basically enough time to knit the newest blackstitch creation. It’s hard to take this guy off when everyone stops you to ask you where you bought it, even the people at Vogue Knitting. But now you too, can have your very own on trend knitted coat for fall. Maybe even before Labor Day. It’s simple, uses the easiest form of Intarsia (colorwork knitting technique) and most importantly fashionable. Not everyone has the chance to fly to a 3 day-long knitting convention in Columbus, Ohio and see all the new products for Fall. For that reason, theblackstitch is here to guide you through the styles and knitting fashions to come your way. 1. Debbie Bliss– Milano. I kid you knot. (pun included) This new DB yarn is 1. Not for babies 2. Not made from Cashmerino and 3. Can possibly be the most amazing thing to hit the shelves this Fall. It’s a Missoni like yarn that you will die for. Plus… the PATTERNS are actually the most beautiful, structured, classic knits I have seen this side of the universe in like forever. KUDOS DB, KUDOS! Patterns here. 2. FAUX FUR! You know I love it. It’s possibly the most talked about on theblackstitch. But hey, it never goes out of style, and the yarn just keeps on coming. Top 3 to look out for 1. Louisa Harding– Luzia 2. Prism– Plume and Plumette 3. S. Charles– Fast. Seriously, they are more exciting than any other faux fibers I’ve mentioned in the last 3 years. I promise. Why not add Bergere to that list! 3. CHUNKY. I don’t mean old school Twinkle in size 19 needles. I mean like really chunky. As in- go out and find yourself some size 50 needles and literally knit yourself a rug. My choice- Loopy Mango– Big Loop and Pagewood– Rug Bumps (neon colors, obviously). 4. 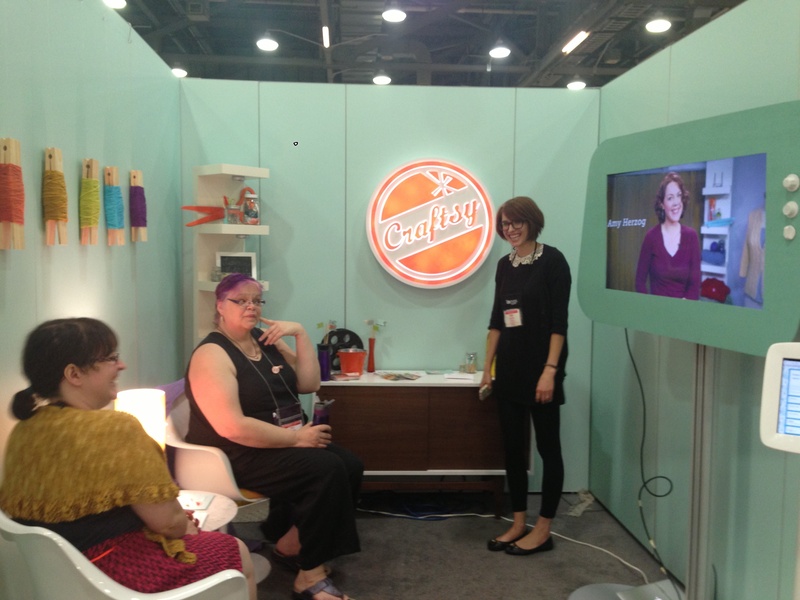 KnitCrate– Have you heard? Yes, its pretty frickin’ awesome. Dont like shopping? Please say your answer is a big fat NO!! Either way, it doesn’t hurt to receive a hand-picked package each month with yarn, patterns, and most importantly some awesome swag. Sign up here. 5. Craftsy. Ever realized that while you are sitting at your desk at work, you could watch an actual curated knitting or craft class online, taught by some of the most highly respected teachers? Well if not… now you can. Or how ’bout when you have nothing to do but watch old Law and order reruns. Pick up quilting or cake baking. It is the future of learning. FOR REAL. 6. 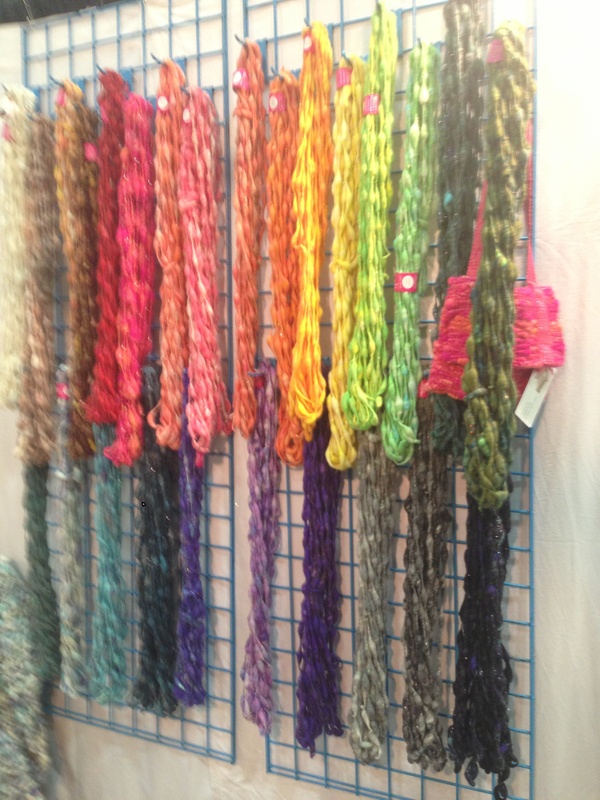 Hand- Dyed Yarns. I don’t always knit with them, but I just love to collect them. Every knitter loves a variegated yarn. Top 3- 1. Koigu. I dont even need to tell you why. You know its the best. 2. Artyarns. I like it glitzy. 3. Prism. They have hand-dyed faux fur. Enough said. 7. NOVELTIES. Throw whatever you want in yarn and call it a day. FAVE? Knit Collage. Besides having one of the best booths at TNNA this year, I must said the little flowers in their yarn are just the cutest things ever. 8. Bags. Go Knits win in my book everytime. Practicality is key but, also, I like my purses and the Go Knit project bags fit perfectly right inside all my purses. 9. Faux Fur. It deserves another round of applause! 10. Last, but, not least- Be Sweet. 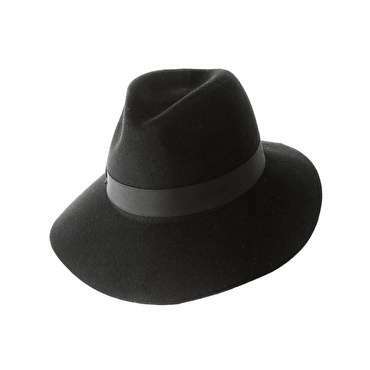 Some pretty awesome accessories are in the works for fall. Stay tuned for my fave… the Magic Ball I- cord necklace. Perfect for any occasion. Leave a comment and let us know your fave from our list, or something else that you think is the next big (knitting) thing for Fall! Let me start off by apologizing. Even though my mother has always taught me to never start a sentence with a negative, (Sorry mom! Oops I did it again), theblackstitch has been MIA for far too long, so I am taking the first lines of this black screen to apologize for the lack of posts in the past month. To blame: The GMATS. Even if you have been living under a rock the past few weeks, (that was not an insult, I was living under a rock. And by rock I mean Starbucks, under my Kaplan Book) then you would still know that crocheting is BBBBBB…ACK. Vogue Knitting has announced the ultimate in CROCHET, AKA a magazine devoted to this hooked hobby. Say goodbye to granny squares and say welcome to chic lace tops. With crochet back in style, comes a little something I like to call the HIPPITY DIPPITY. Take a peak above to see inside, or wait until May 2012 to flip through. It’s always better in your hand than on screen. But, either way, if you want to be surprised, stop reading now! Below are theblackstitch’s top three crochet picks from this inaugural issue. 1. It’s dreamy. It’s see-thru. It’s everything I want for Summer 2012. Thank you Kristin Omdahl. 2. Once upon a time there was the cutest little clutch. Now I just need a fairytale ball and little princess gown. A prince charming wouldn’t hurt either! 3. I want to wear this everyday in every color. Always. I have nothing to say but FAB-U-LOUS all around. The other day a male friend told me he saw some crazy woman knitting on the subway. Crazy because she only used one needle! To the crocheter on his subway car and us other crocheters out there…It’s back. Soon no one will confuse knitting with crocheting and the whole world will know the difference. Your limbs have been screaming all winter for some hot humid air and before you know it, you will be tan enough to expose those lanky things to every passerby. But, while your little hands may be getting some knitting respite over those hot summer days, do not, and I repeat do not, let your dying love of knitwear leave you high and dry, just like great New York City weather. Wool and the Gang Summer Knits- Knit them yourself! No one said knitting was only for those living in igloos. Do it right this summer, with a little something I like to call… solstice stitching! Before these dog days are over (try not to break out into Florence and the Machine right about now) knit some, no pun intended, hot knits to keep your perspiration levels flowing this upcoming sweltering summer. It’s probably more likely that your fave celeb is addicted to something other than knitting… but, there are a few Hollywood babes that have caught onto the knitting obsession. Meryl Streep and Julia Roberts, have yet to spread this way of life to the entire entertainment industry, but either way, this has not stopped some well dressed celebs to flaunt some FAB-U-LOUS knitwear. Knit in the City? Yes, please. Although SJP confirmed to sources she loves to knit from time to time, her busy schedule may have forced her to purchasing this hot piece of knitwear. For all of us not-so-famous people, let’s make some time to try to knit it ourselves. We watched this hot-mess turned pretty princess learn her high-end styles from the Prada devil herself. Let’s take to her color blocking ways and create a two-tone sweater to throw on just about anywhere, anytime. Cropped top wearing style goddess, Ashley Olsen, probably owns more sweaters than I have skeins of yarn. Is that even possible? Well, this short but ever so stylish top takes less yarn than a regular sweater… can you say bargain?? Try it yourself and maybe we’ll bring back the BABY T! Let’s only speak of the scarf on this little Disney star… that maroon sweater, well it’s just a sweater. 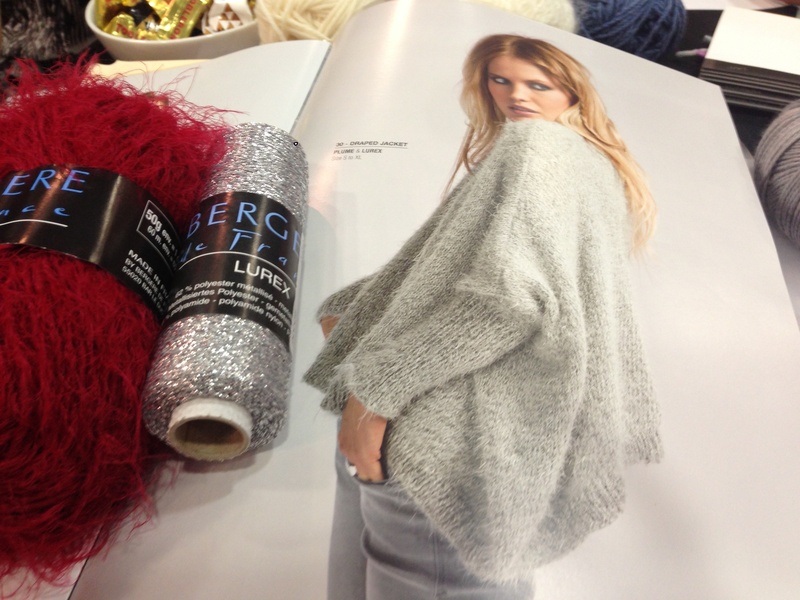 Sequins mixed with cashmere (C’mon I’m sure it’s cashmere) is one of the most fab things recently discovered by this little knitting industry. The best way to create this scarf lies in the little sequins of S. Charles Crystal. 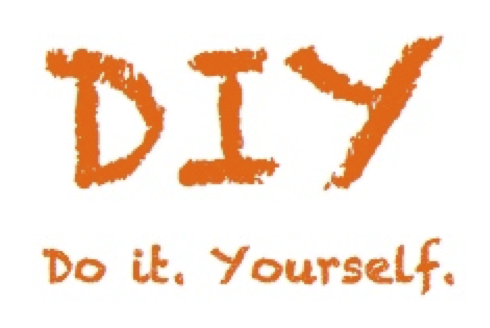 Wanna make it yourself?? THANK YOU to my new found love Inspiration & Realisation for creating probably an-even-better drop shoulder look alike so even if you didn’t want to look like Miley Cyrus, you can! Ms. Bilson has fled The OC for a cooler climate. Make that Ireland? Irish Aran knits for all you advanced knitters out there. I dare you to make this one! Sweaters always look better on Victoria Secret Models. What a great choice of mohair colors for this intarsia creation. Best bet for a copycat… Be Sweet Boucle. Damn straight I made it. So what if that amazing summer sweater from ZARA is only an effortless $79.90. So what if you know knitting it will most likely cost you an arm and a leg. (Don’t even think of mentioning the word acrylic- it’s worse than saying you think “knitting’s for grandmas”). And, let’s not even discuss the cost of your time. And, you know that your time is more precious than anyone else’s. BUT, with that semi-fabulous store-bought and affordable sweater, can you say that you are the one that actually made it?? Nope. 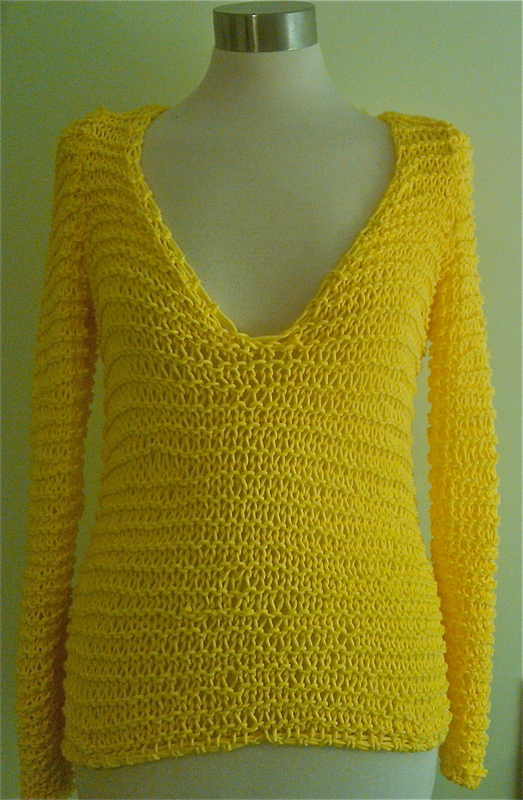 There is always that #winning feeling that no matter how much time and money goes into knitting, the satisfaction of telling your comrades that you, in fact, designed and knit this hot-to-trot garment gracing your body, beats any shopping find. Ever. New and improved Zara sweater! for this free, fun, fantastic, and fabulous pattern- click below! FORREALZ. Yarnbowls. Pottery used to protect your yarn while you knit. As much as theblackstitch would love The NY GIants to WINWINWIN, football isn’t necessarily theblackstitch’s forte. Therefore, we shall focus on a BOWL a little closer to home. 1. You are knitting away endlessly, only to slowly, but surely realize you have lost the ball attached to your knitting, while noticing its demise under the couch you have neglected to clean for a time period that should remain nameless. 2. While watching your favorite episode of the ___________ (let’s not fight about which city of the Real Housewives is better.) You realize your cat/dog does not truly understand the difference between a toy and extremely-expensive-hand-dyed-hand-spun-beaded cashmere which took you hours to wind, while being the last skein of its dye-lot on this godforsaken planet. 3. You know angora mohairs are totally in this season, but that #@$@%! ball of yarn is ruining your vintage sofa and getting all over your brand new skinny jeans. A collaboration between messy knitters and innovative potters. The newest accessory in this industry and the most useful. Keep that yarn dirt free, animal free, and your sofa shed free. Could you ask for anything more? Put that “mind of it’s own” ball of yarn in its place once and for all. Did we mention- LET’S GO GIANTS! Thank you Princess Kate and Queen Elizabeth for single handedly making “HATS” happen for us knitters this season. If it were not for them, hats may never have been in style – kidding, sort of… They undoubtedly turned heads this summer (no pun intended) with their breathtaking garment changes at the wedding of THE century. (Obviously the Royal Wedding that is, in case any of you were thinking of Kim Kardashian and Kris Humphries) Either way, what kind of fashion blog would this be without mention of the royal ladies and their wardrobes?!? Take this simple garter stitch creation. Saw something similar at the New York Gift Show last summer, and decided this HAD to be a THEBLACKSTITCH design. Below is the easy, breezy, and not to mention beautiful pattern. But, first let’s give a shout out to the all mighty M and J Trimming. 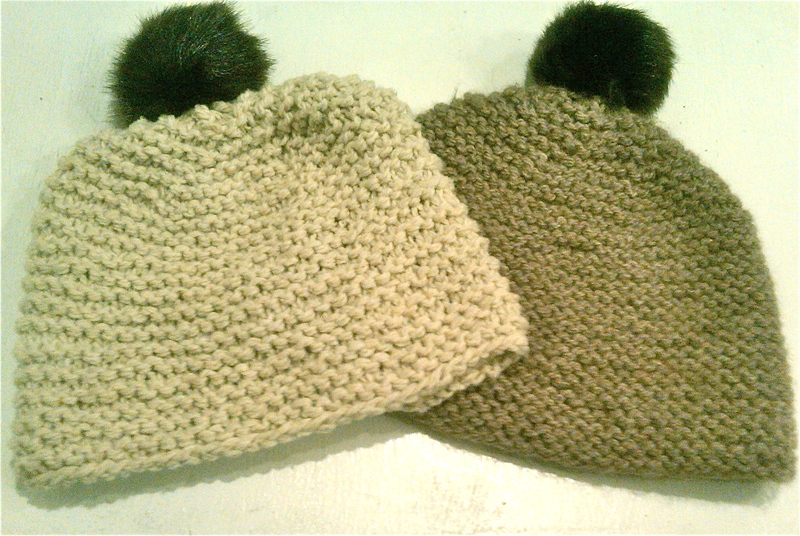 A crafter’s Shangri- La, fa realz, and the reason for the undeniably phenomenal faux fur pom poms at three bucks a pop. With Faux Fur Pom poms. Join to knit in the round, be sure not to twist. Knit in Garter (in the round that means knit 1 row, purl 1 row) for 6” from the beginning. Row 9- (k2tog) repeat across row. – 6 sts. Cut yarn leaving 12” tail. Draw yarn through live remaining sts and pull tight. Weave in ends. Attach pom pom. WHAT TO DO ABOUT TEXTING? 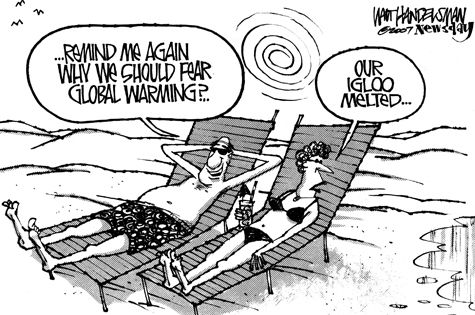 Global warming may be the reason our winter knit accessories are living a schizophrenic lifestyle. But as the weather gets cooler and cooler this season, the major problem here is something possibly even more pressing… WHAT TO DO ABOUT TEXTING? This may seem like a trivial issue for the future of this lovely planet and the environmental affairs affecting our day to day lives, but for many Americans, fingered gloves, while keeping us frost free, have proven to hinder our texting abilities. Can you possibly live when your covered fingertips leave you with only a choice of exposing them to the bitter winter air or the possibility of waiting minutes to respond to your loved ones?? The one and only (and I mean that with all my heart) Refinery29, has provided us techie addicted individuals with the best of the best texting gloves to hit the shelves since um… unlimited data plans?? This slide show of gloves offers us endless possibilities to keep up with our texting social life, while remaining warm and healthy during the, at times, random cold fronts that have braced our cities this winter. And as technology progresses, the knitting world must move with the times. Thus the influx of fingerless glove knitters, have proven to make these gloves the #1 hit on Ravelry and Knitty.com. No more comments from fellow knitters- “Where are the fingers? ?” and hello to the newest rage in technology knitting. A new phenomenon- knitting to assist in the success of the technology industry. Who said knitting and technology didn’t mesh? A great free and easy pattern from the Princess herself. Thank you for sharing your fabulous pattern with us, so that even though our environment may be suffering, our social life will remain up and coming!